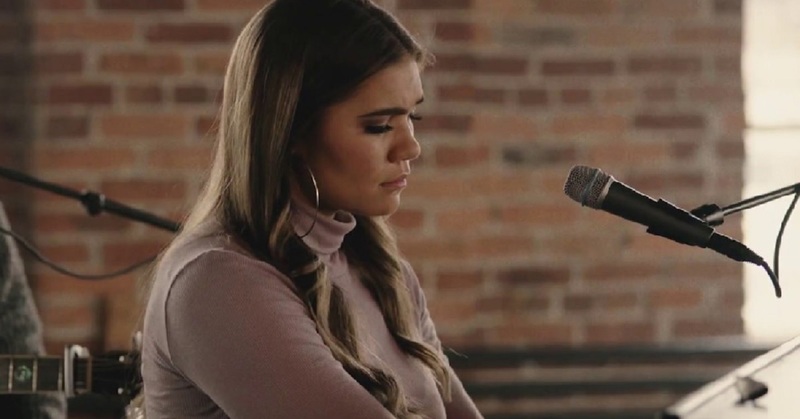 Watch rising Country singer Abby Anderson's "Make Him Wait" acoustic music video performance. Abby Anderson Make Him Wait song was inspired by dating advice from her father and the lyrics provide a theme that all parents can relate with. Abby finished high school and made her move to Nashville at the age of 17. She was inspired by several musical heroes including, Ray Charles, Aretha, Etta, Dolly and Linda Ronstadt. Abby was influenced by her father’s love for pop music and her mother’s Tex-Mex background. She completed years of piano training and has established her own funky old-school soul that Anderson loves. Upon arriving in Nashvilley, Anderson began playing gigs in local favorites, including The Bluebird Café, The Listening Room Café, and the Tin Roof. She worked as a nanny to support her musical ambitions. Her hard work and perseverance paid off a few years later as Anderson was surprised by Black River Entertainment with a publishing and record deal during a charity event at the Ryman Auditorium. Watch her “Make Him Wait” music video and check out the story behind the song below. Watch Abby Anderson discuss writing “Make Him Wait” with Tom Douglas and Josh Kerr.